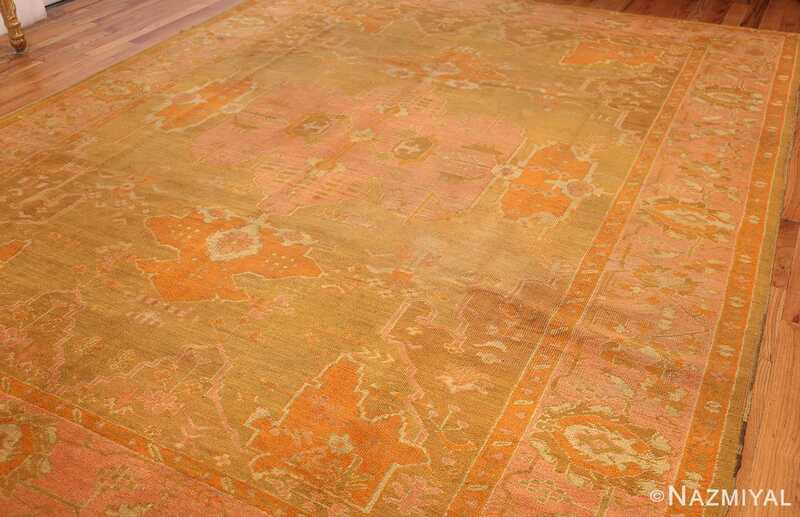 This beautiful Oushak rug features a classical Oushak design, and is characterized by a charming pallet of greens and secondary colors. 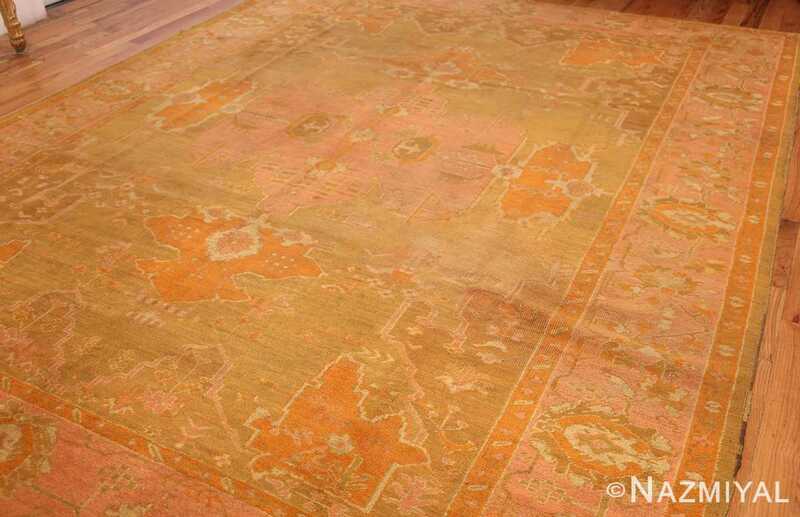 Antique Green Turkish Oushak Rug, Country of Origin: Turkey, Circa Date: Early 20th Century – Antique Turkish Oushak rugs are one of the most admired and sought after antique Oriental rug styles, prized for their unique, monochromatic compositions and their ephemeral beauty. 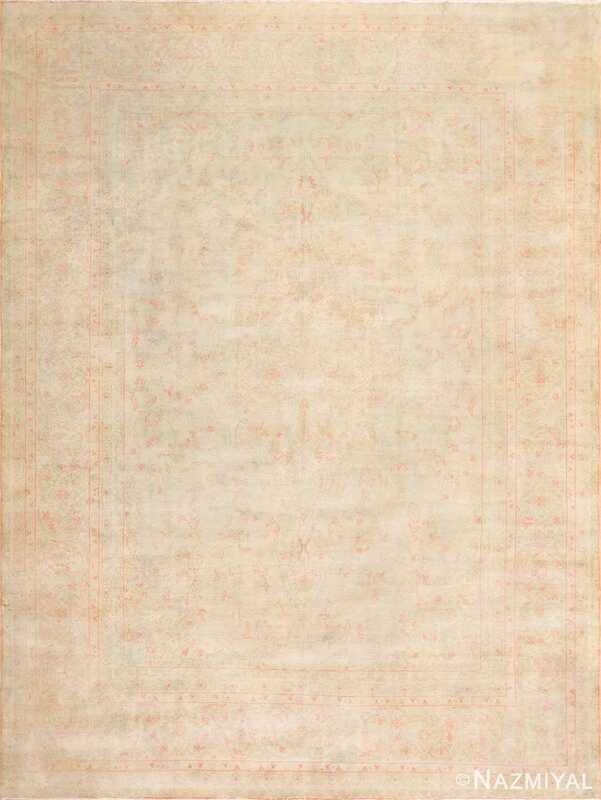 This particular example boasts both of these characteristics, and is a beautifully representative work. 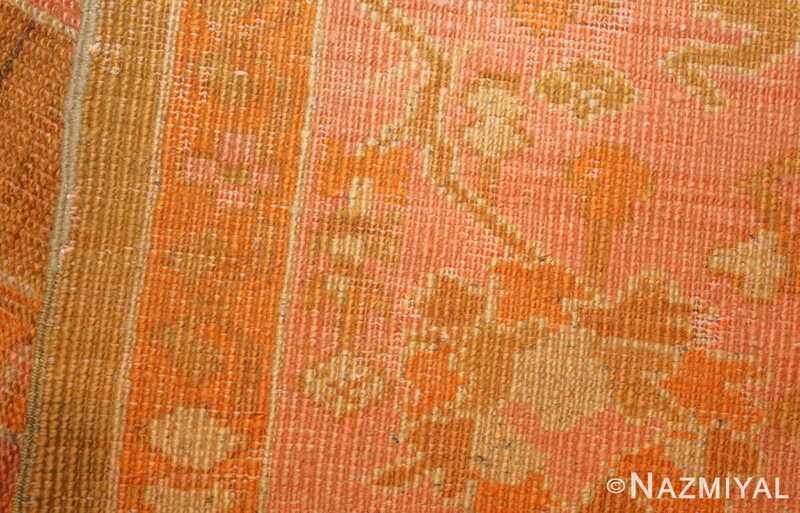 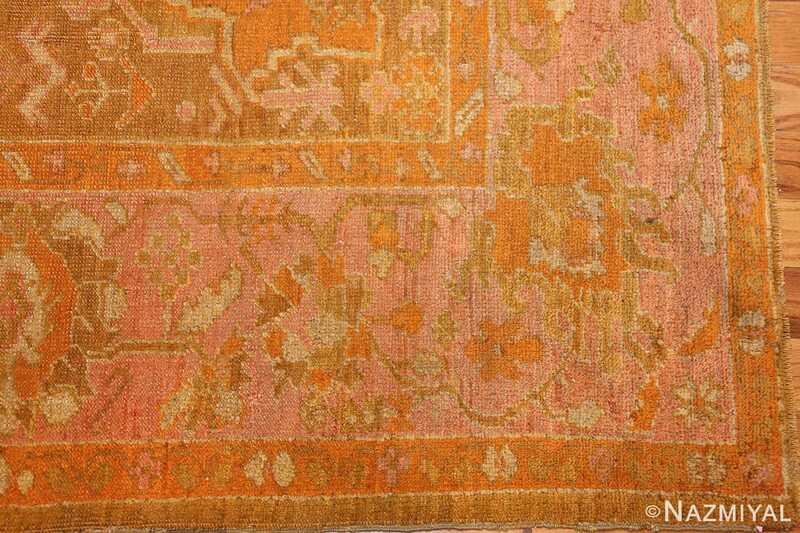 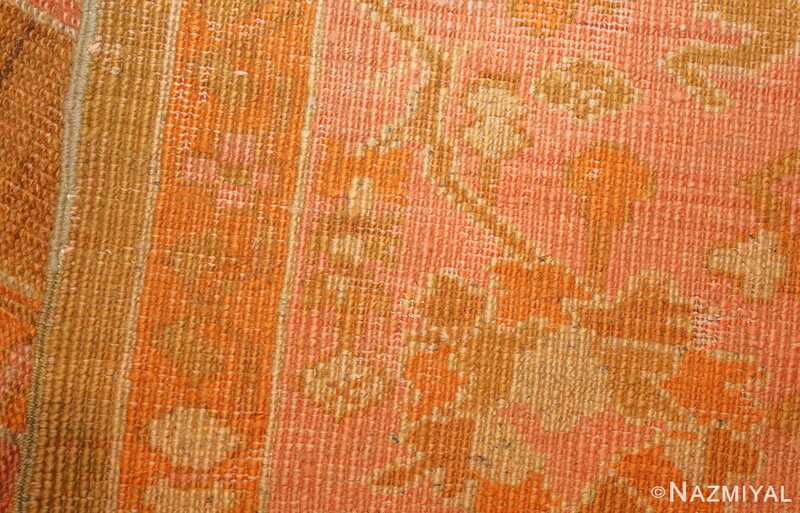 While not strictly monochromatic, the color pallet of this fetching antique Turkish rug is composed of tones that are deeply complementary, including greens, oranges, and pinks that all glow with the same quality. 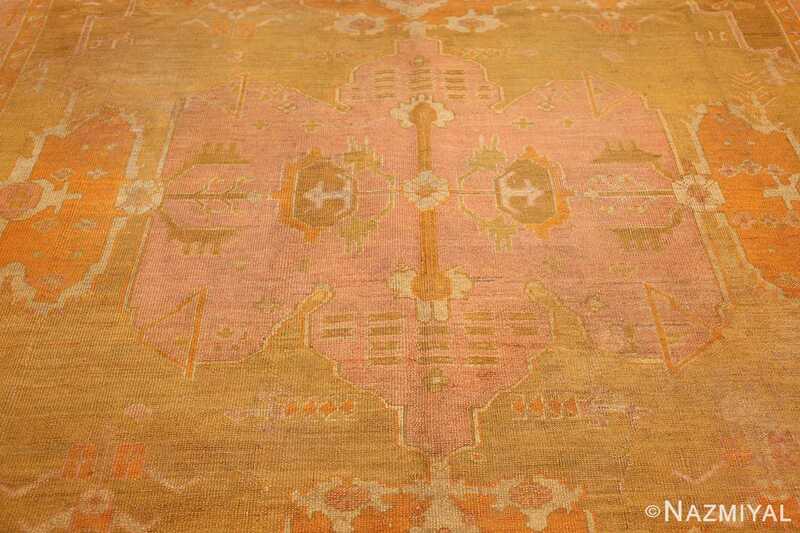 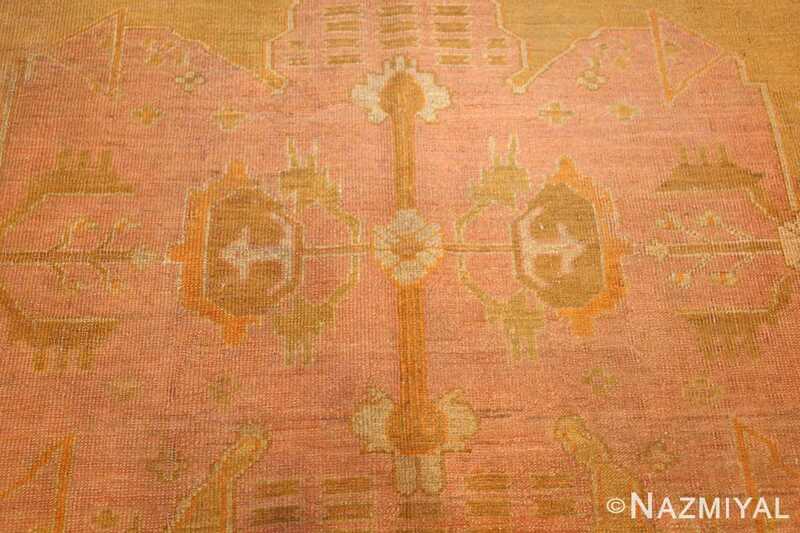 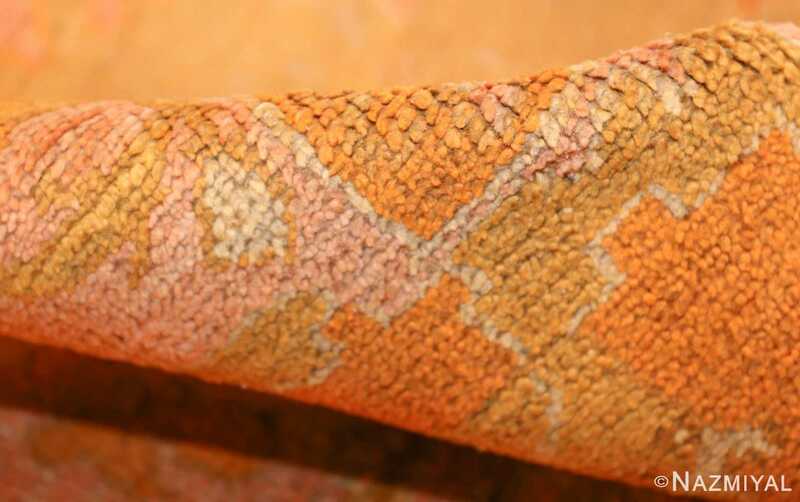 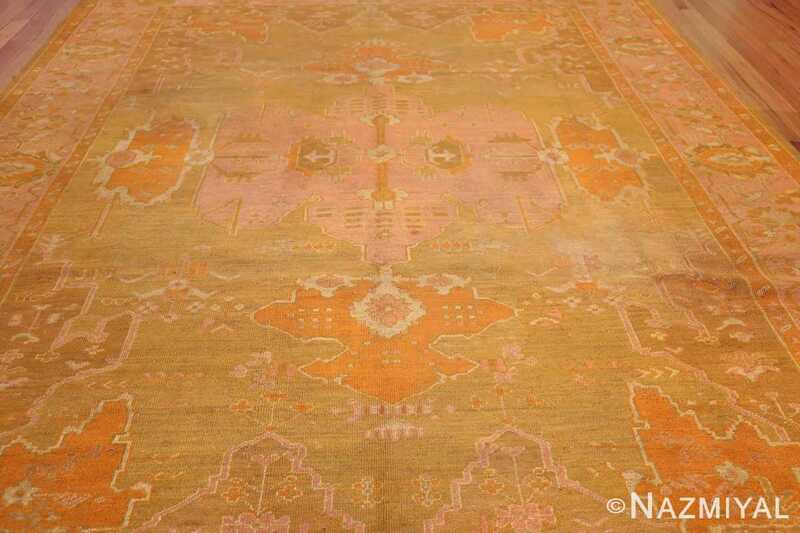 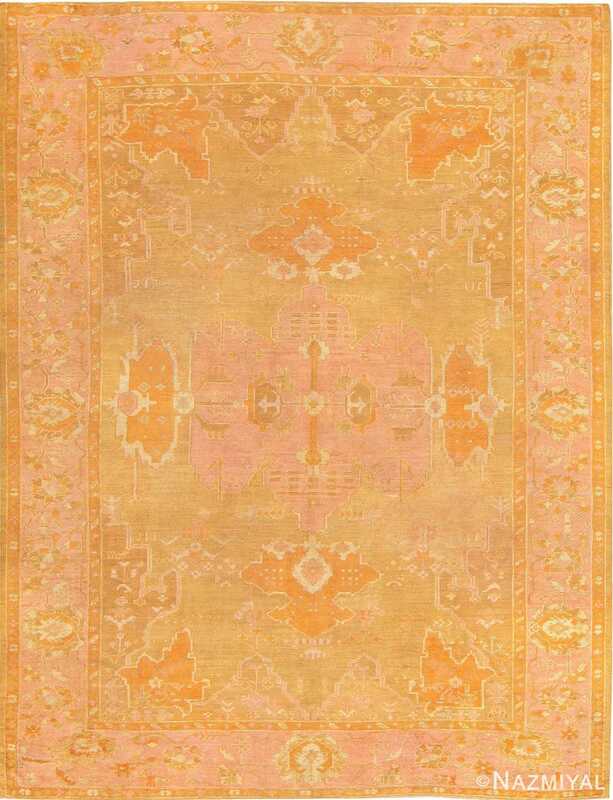 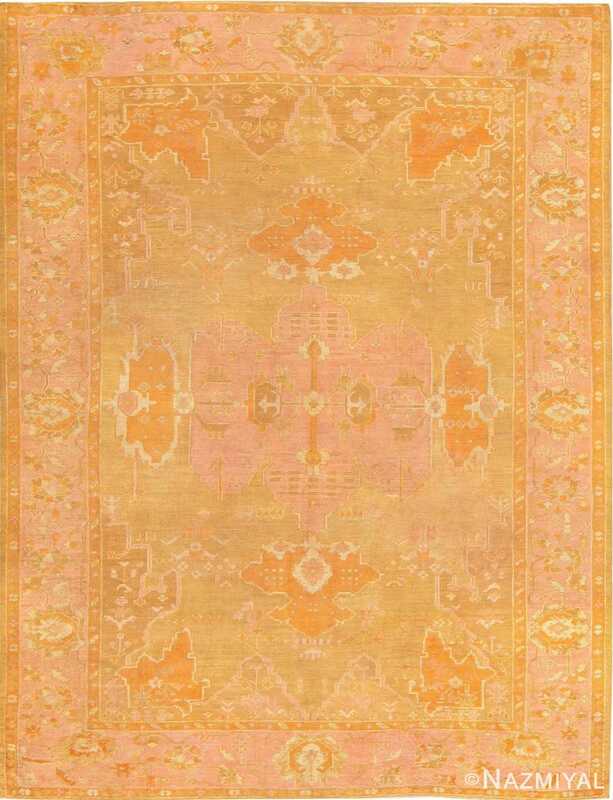 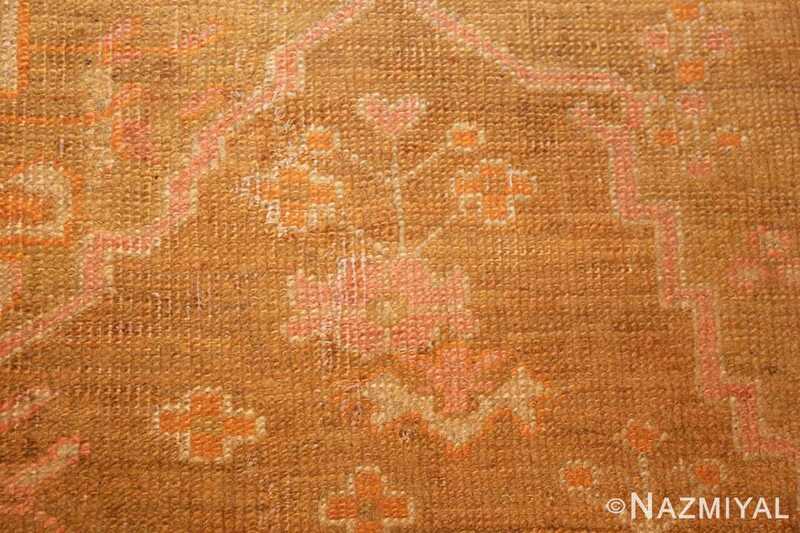 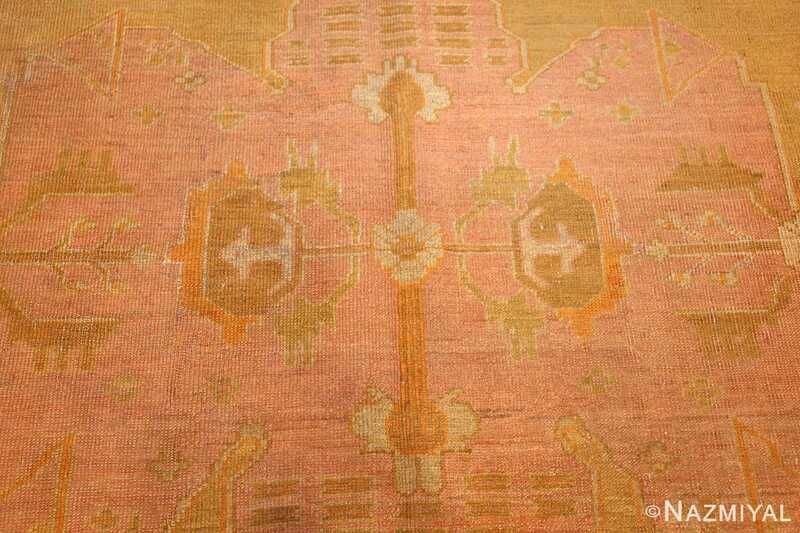 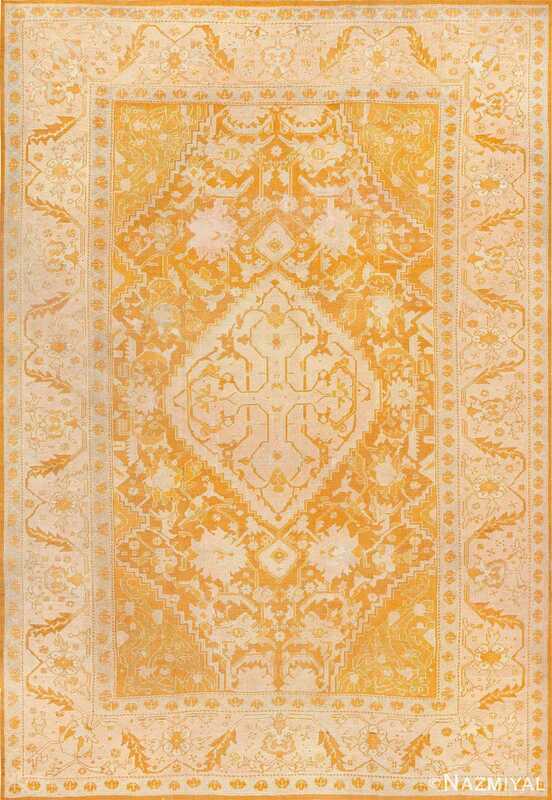 The rug itself is meticulously composed, featuring graceful, traditional Oushak designs throughout its wide border area. 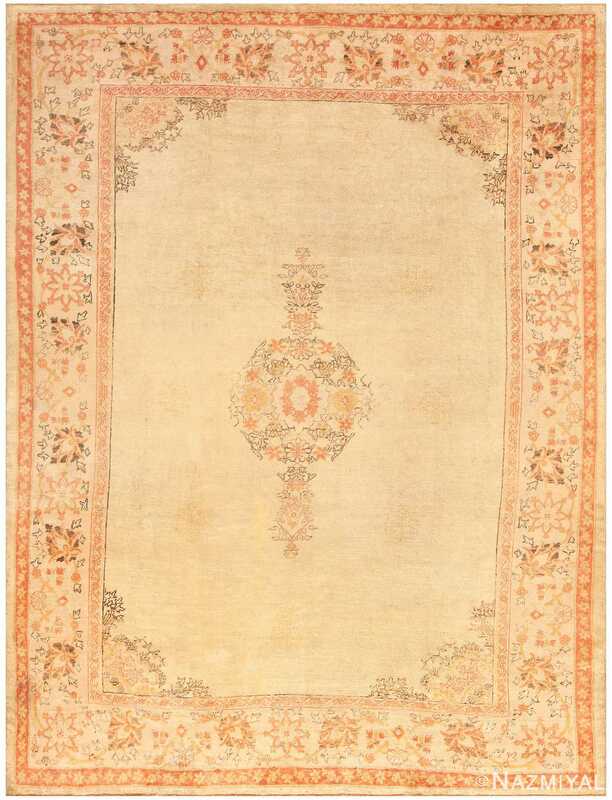 The field is also richly detailed and classically composed, featuring elegant corner pieces and fetching central medallion. Small detail work appears throughout the field, including abstract geometric figures that give the piece an air of cultural authority. 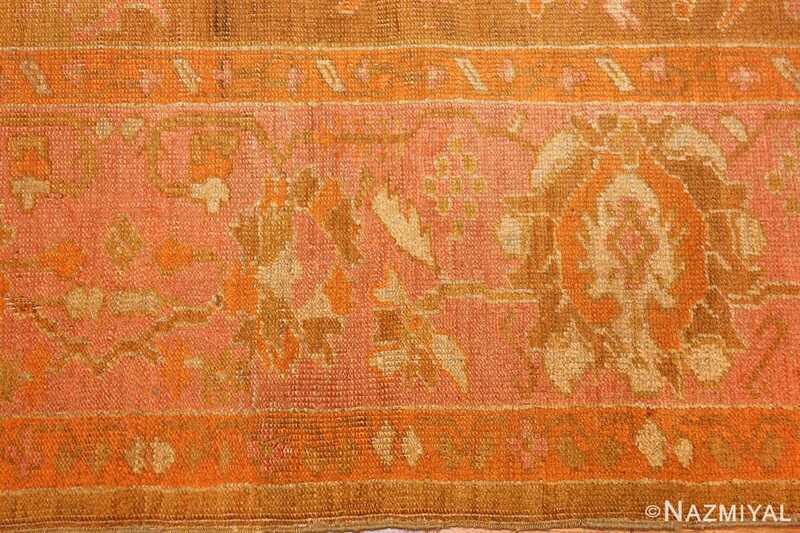 A beautiful antique Oushak rug, this elegant work is a charming and representative composition of an endearingly popular style.